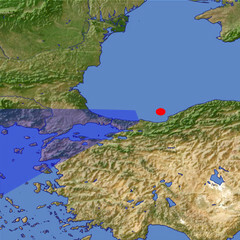 The Bosporus connects the Black sea (foreground) to the Sea of Marmara and the Mediterranean Sea. At the strait lies the city of Istanbul. 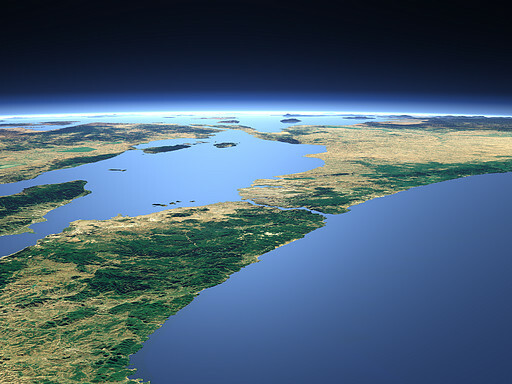 In the far background the Dardanelles and behind several of the Aegean islands can be seen.